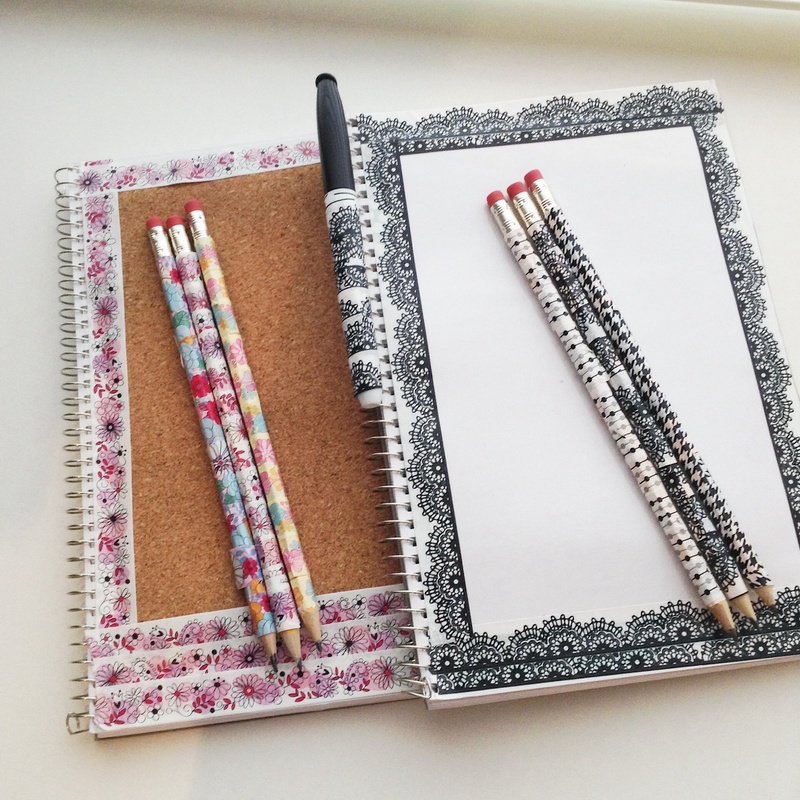 School Supplies with a twist. I created notebooks and pencils that are fun and easy to make. I bought all my supplies from the dollar store.